When Portal creator Valve Software first debuted the Steam digital distribution service in 2003, it was a relatively simple online store in which users could purchase Valve’s games without leaving the comfort of their own homes. In the nine years since that time however, Steam has grown into something more. Now Steam users have a wealth of social networking options to help them connect with other gamers. Likewise, if you require producivity software to help you make a game, you’ll find a growing wealth of such programs available for download via Steam. This morning Valve added a new facet to the options its service offers by pushing the Steam Community Marketplace into open beta testing. As its name would suggest, the Community Marketplace is a player-driven item exchange service that allows users to “expand the Steam Economy beyond trading.” In layman’s terms, this means that items earned within select Steam games can now be bought and sold using funds found in a player’s Steam Wallet. If you’re unfamiliar with how Steam works, the important thing to keep in mind here is that those aforementioned funds are generated by forking over real-world cash to Valve. Previously this money was used mainly for purchasing software through the digital distribution service, but now it can be used to equip your favorite in-game character with new hats, weapons and whatever else Valve decides should be a part of the Steam Economy. As with other additions Valve has made in the past to its Steam service, the firm is slowly rolling out its Community Marketplace to the games its service offers. 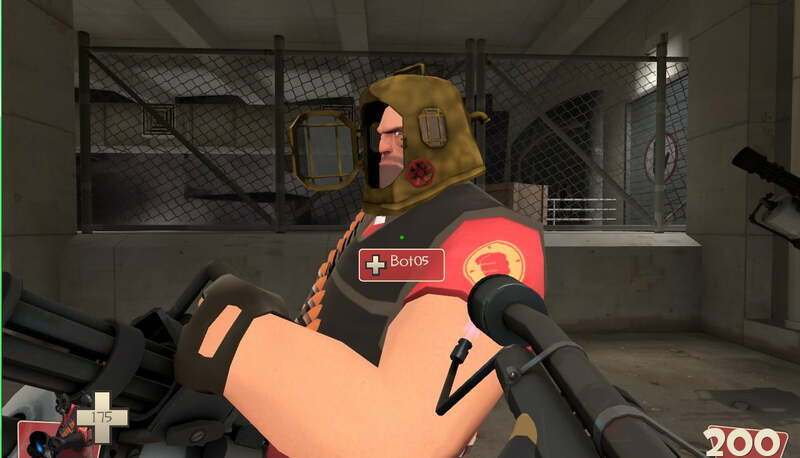 At the moment the Community Marketplace only works with items found in Valve’s own Team Fortress 2, but the company plans to add Marketplace functionality to other titles just as soon as it can work out all the bugs in its current incarnation. Long-time Steam users will recognize this plan as similar to the one Valve used to roll out the now-infamous in-game hats (pictured above) that permeate a surprisingly large number of Steam-distributed titles, though obviously the company is being more cautious about rolling out this initiative as it could directly impact the bank accounts of the company’s userbase. If you find yourself suddenly interested in paying real cash for fictional items, you can find full details on the Steam Community Marketplace at the service’s newly-published FAQ page. The Division 2 promised big strides in accessibility. But did it deliver? Following up the popular and successful Infinity War crossover where players put on the Infinity Gauntlet to become Thanos, it looks like players will be grabbing Captain America's shield in the lead-up to Avengers: Endgame this week.